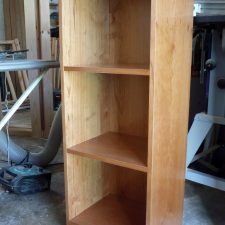 Update: The shelving unit for records, as mentioned in my last post, is now complete . 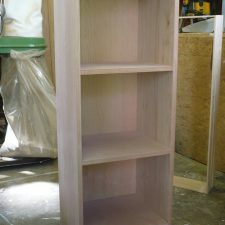 The first photo here shows the completed unit before it had been varnished. 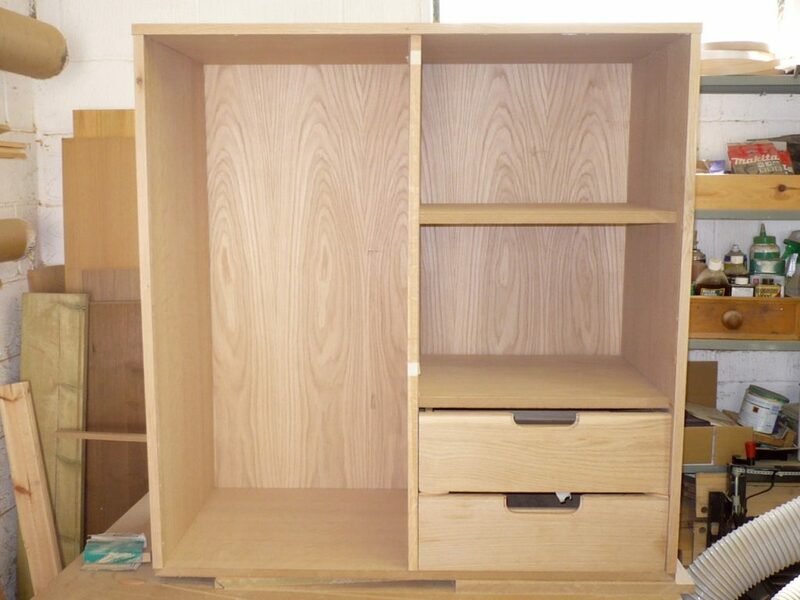 In the second photo the unit has now been spray-lacquered to bring out the beauty of the cherry-wood veneer. Click on photographs to enlarge. 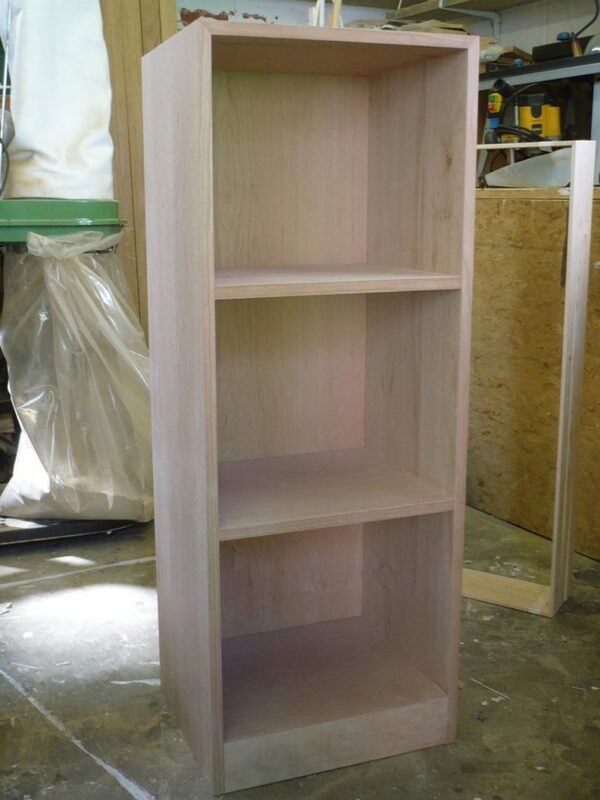 This piece of furniture has been custom-made to the clients specifications for use as shelving for a vinyl record collection. 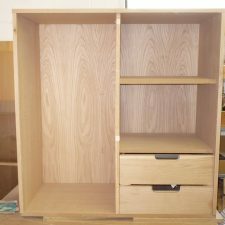 If you would like a quote for a similar unit or would like to discuss your ideas for a storage / shelving project please get in touch. My contact details can be found here. 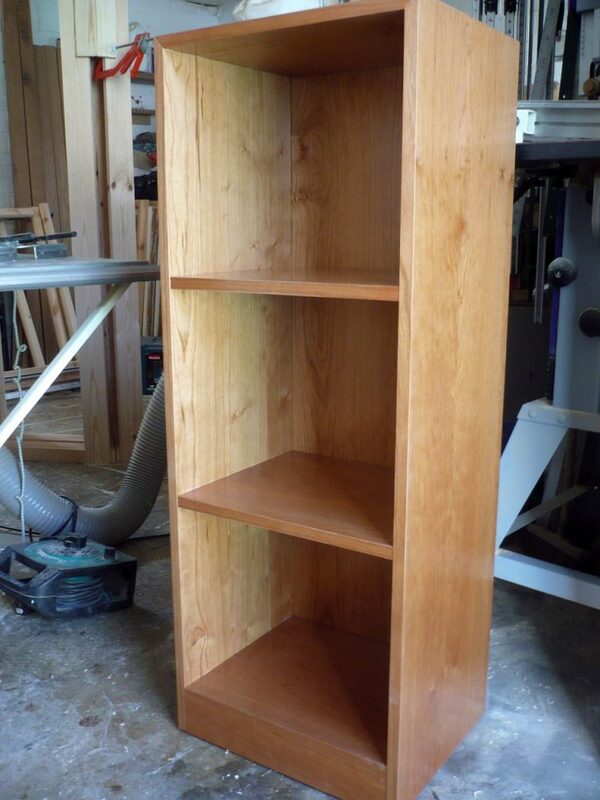 This entry was posted in Wardrobes & Cabinets and tagged Cabinets, Shelves, cherry, cupboards, drawers, oak, wardrobe. Bookmark the permalink.